Packing and moving valuables is stressful! 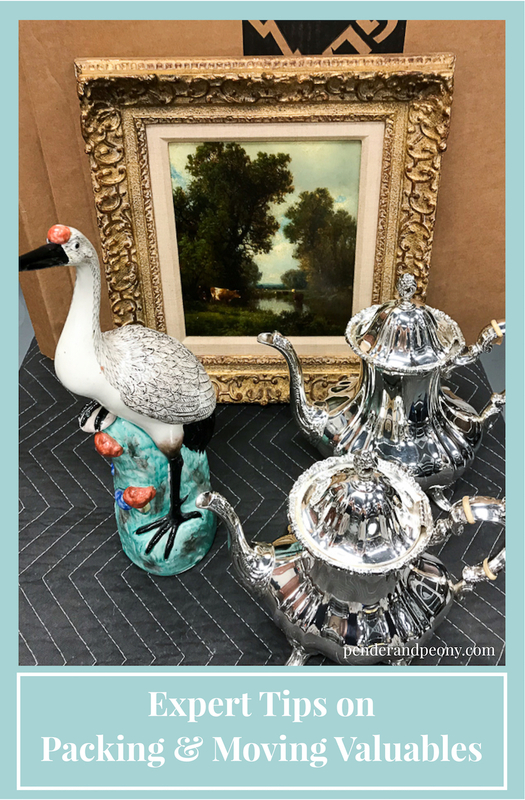 Learn the right way to wrap and secure silver, antique furniture, ceramics, glass, and 2-D art with these tips and tricks. Knee deep in corrugate, tape, and tissue? Pulling your hair out because you just can’t figure out the best way to pack Grandmother’s silver or your wedding china? It’s moving season as if you didn’t know, and I’m here to help with the conundrums of packing and moving valuables! You may not know this about me, but by day I manage the treasures of an international auction house, which means I shuffle around, pack, and move valuable decorative arts, paintings, and antique furniture all day every day. 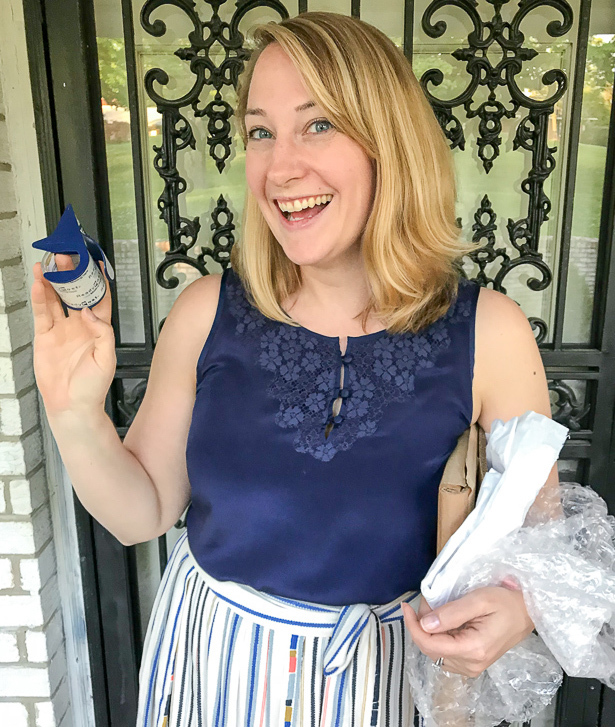 I’ve learned a few tips and tricks to packing valuable possessions that I want to share with you lovely readers, so the next time you’ve got to move something precious to you, a family heirloom or an expensive painting, you know the right way to do it! The very first thing to do is make an inventory and gather your packing materials. A comprehensive inventory is a vital step in moving, although it is an often overlooked step in the process. It will help you assess meaningful and expensive possessions and keep track of everything. Add notes about the condition of these items and where and how they are packed. Documenting these items is key to filing an insurance claim if something goes wrong, and it will help you organize your unpacking! Click to download this inventory template for your valuables! Another important consideration before you start packing and moving valuables is the distance you are relocating; the type of transport; and the length of time your valuables will be packed. These considerations will impact your packing choices. The longer items are stored the more important it is to ensure extra padding because frankly the more your boxes are touched, unloaded, stacked, and transported the more likely something will be dropped. Let’s start with an easy one, shall we? 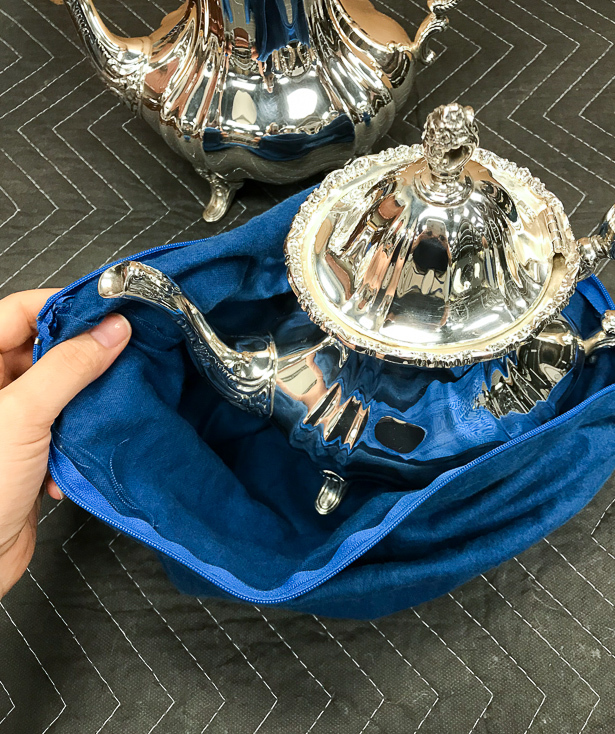 Metal serving wares and sterling silver antiques are a fairly sturdy material, but these valuables can be vulnerable to scratching, tarnish, and dents during moving. Protect silver by first cleaning and polishing it, especially if your moving boxes will be stored for a few weeks or more. Wrap your silver in silver cloth, which is a soft flannel like fabric that helps prevent tarnishing and scratching. Many silver items come with their own covers, so be sure to use these. You can also use a soft muslin fabric, if you cannot buy silver cloth. This is the most important step to packing silver! Certain plastics can be very harmful to silver and cause tarnish stains that won’t polish off. After wrapping the item in cloth, further protect it with bubble wrap. Take extra care with hollow handles to avoid denting. Joints and hinges on silver serving wares can be particularly vulnerable, so take care with these areas too. Examine antique furniture for weak points before moving. Remove or secure any movable parts, such as doors, drawers, or component pieces. Door or drawer pulls that stick out are vulnerable. Furniture bands or string can be used to keep doors closed. To pack for transport, wrap furniture in a padded blanket and secure with stretch wrap. Valuable furniture is most likely to get damaged during the actual handling of it rather than transport, so be sure you have competent, strong movers. Create a plan of how to take something up or down stairs and through thresholds. Measure doors and ceilings to ensure the piece will fit. Dollies and lifting straps are a great way to move heavy pieces. Packing and transporting art, especially paintings, can be risky. You should always examine the painting to see if there is any lifting paint that looks like it is about to flake off. You should also examine the stretchers for strength and stability. If there is flaking and the stretchers are unstable, take extra care to cushion the frame and painting from excessive vibrations. Travel conditions like vibration, temperature fluctuations, moisture, and impacts can significantly affect your art works, if not immediately over the long term. It is best to use mirror packs, egg foam, and polyethylene sheeting to avoid damage. Fold the mirror pack together and tape the end. If this is not big enough to house the painting, put together another box and turn it so the open ends slide together. Place a strip of egg foam at the bottom of the box. Wrap your art work in the polyethylene sheeting like you would a present, taping up the ends to seal and prevent moisture from reaching the art work. If the art work is behind glass or plexi, it is a good idea to tape the glass in an “x” then wrap in bubble. Slide the wrapped art work into the mirror boxes. You want a snug fit around the painting to minimize movement of the frame within the box. Use egg foam to fill out the sides and top. Slide another mirror pack or two down over top to enclose the art work. When moving and transporting the packed work of art keep it upright and oriented the way you would hang it. Note: This packing method is good for packing low to moderately priced art in very good condition. For fragile works and/or very valuable art, it should be packed in special corrugate crates like a Masterpak or by professional art handlers and packers who can build custom wooden crates. This may be the category of valuables that you are most worried about packing, and rightly so. These items are the most fragile and likely to break during packing and moving. Take extra care with packing these possessions for transport to avoid cracks, breaks, and scratches. Don’t skimp on the packing materials and buy enough to wrap in layers! The key to packing and moving valuables is to assess the weak points of each item and give those areas extra padding or support. Weak points include protrusions like handles; rims and bases that are easily chipped; joints; and decorations that are easily tangled or pulled off. Additionally, work over a table with some padding on the top, so that if an item slips out of your hands while packing, it does not drop far and lands on a soft surface. Pad out weak areas with soft tissue paper. Make a long roll of tissue paper by curling a corner into itself. Then wrap this around the weak point. Tape the wrapping in place with painter’s tape if need be. Next wrap the entire object in tissue paper or a thicker grade blank newsprint paper if the object’s surface is not easily scratched. Finally, wrap the object with bubble wrap. 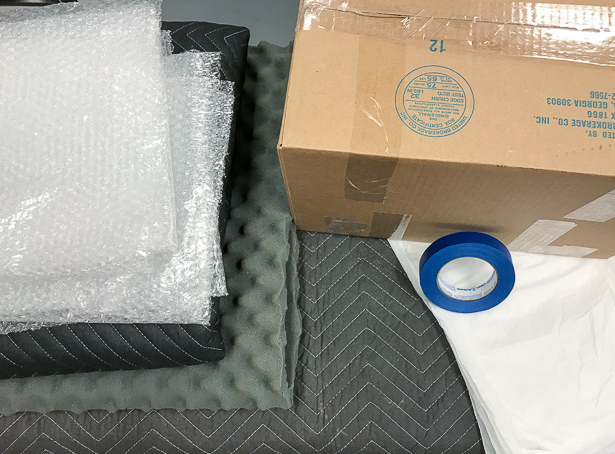 Always turn bubble wrap with the bubbles out and make sure the object is evenly covered, paying attention to the top and bottom of the object as well as the sides. When filling boxes with these fragile valuables be sure to use dish packs or double walled cardboard boxes, and don’t leave any voids in the box. Fill holes with extra newsprint paper or bubble. Avoid using packing peanuts as they have a tendency to shift and settle during transport. Don’t leave art or silver packed for long periods in non-climatized environments where temperatures are likely to fluctuate and humidity could rise significantly. This will cause packing materials to break down and hurt your valuable possessions. To secure moving parts on a piece of furniture or ceramic piece don’t use scotch or packing tape, but instead use blue painter’s tape. This will protect the surface! Don’t use packing peanuts when packing and moving valuables. They shift during transport and are an absolute mess to clean up! Don’t lift antique furniture by the top, chair arms, or lid. These areas are likely to be vulnerable to weak points and pull off. While packing art and taking it off the wall, don’t lean it against rough or uneven surfaces where it might get bumped and then something could puncture the canvas. Don’t forget to make your moving inventory with condition notes and even pictures! If something were to go wrong this is your best resource for filing an insurance claim! With these tips for packing and moving valuables, I hope you feel more confident and prepared to tackle the headache and stress of moving. This is an exciting transition in your life, and I don’t want you to be worried about your Grandmother’s silver or your wedding china breaking on the way to your fabulous new home! Don’t forget to download the moving inventory template. Cheers Peonies! Now get busy packing!